“Hell yea!”, Senior Mark Alvarez expresses his thoughts when asked if Halloween excites him. Halloween is back. A time once a year where people dress up as anything they want, whether it’s a princess to a Fortnite character and walk around at night asking for candy. Students and staff in APB all have different feelings and thoughts about the holiday. Student Mark Alvarez, voiced that his favorite part about Halloween is visiting Horror Nights and decorating. He also mentioned that he gets candy to later give it away. He gets excited over this holiday because he has the opportunity to decorate, scare people, and dress up as whatever he’d like. He really enjoys the holiday and thinks its fun. Another student, is Junior, Mirna Alcala. Mirna mentioned that Halloween does not excite her anymore because she’s gotten older for it. She also said she does not dress up,but she does accompany her younger cousin trick-or-treating. Even though Halloween does not excite her, there is something she enjoys about it, and it happens to be watching scary movies. Her favorite movie to watch is Chucky. Citlali Rodriguez, a Junior decides to spend her halloween giving candy and watching scary movies, instead of trick or treating. “It’s embarrassing asking for free candy at this age, I can buy it”. She claims her favorite scary to watch is Chucky and will also be dressing up as him. Lastly APB’s physical education teacher, Kyle Cieply, said that Halloween is fun because he can go partying and it is more like a holiday to surround himself with friends. When asked if he watches scary movies or has a favorite, he said he did not like any scary movies because the acting is bad. Cieply also mentioned that he did not give nor get treats. He does not get candy because he said that at a certain age they stop giving candy out to people. Students and staff here at APB all have their own thoughts and feelings about Halloween. 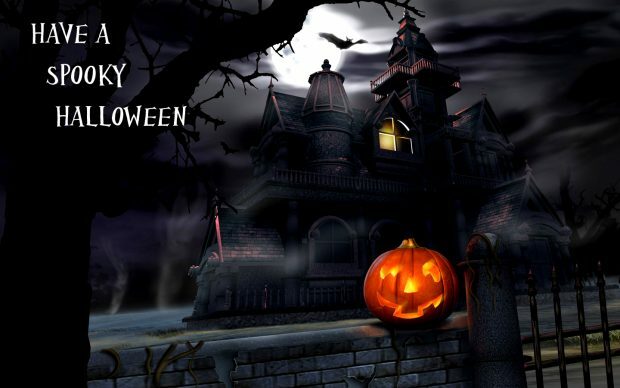 Halloween is a holiday that is loved by many and celebrated in different ways. Many tend to stop trick or treating or dressing up as they grow up, but they keep loving this special spooky holiday.